Metformin (Glucophage ®) is an anti-diabetic biguanide drug which has been available in Europe since 1957, but was not approved in the U.S. until 1995. 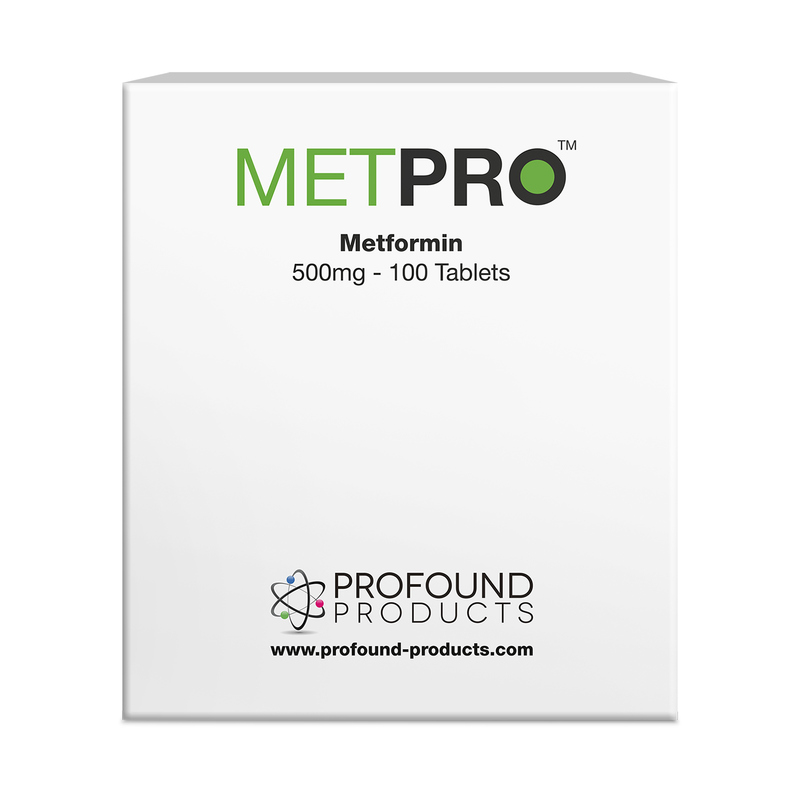 Metformin is chemically very similar to Phenformin, an anti-diabetic drug which was discontinued in the United States by the FDA in 1977. Phenformin was removed from the market because of the number of excess deaths in diabetic patients caused by lactic acidosis. These deaths were invariably due to the continued use of phenformin by diabetics who had compromised kidney or liver function. No deaths were ever reported in patients who had normal kidney and liver function. Phenformin's enforced unavailability was greatly lamented by most diabetologists at the time, one of whom once told me, "Phenformin did everything! It lowered blood sugar, lowered insulin, reduced blood cholesterol and triglycerides, stimulated immunity, and even resulted in weight loss!" He blamed the excess deaths associated with phenformin's use on the "stupid docs" who continued to use it in the face of abnormal liver or kidney function. Metformin is similar to phenformin in its beneficial metabolic effects, but it is much safer, in that it has even less propensity to cause lactic acidosis than phenformin. Professor Vladimir Dilman, creator of the Neuroendocrine Theory of Aging,1 apprised me of the anti-aging value of Phenformin and Metformin during our correspondence in the mid- to late- 1980s. I was skeptical at first, but I soon became a “convert,” and agreed with him that metformin was a very potent anti-aging substance, with a multiplicity of beneficial effects. I wrote about Metformin for the first time in 1996, based largely on what I had learned from Professor Dilman, and from extensive subsequent use on myself and my patients. In addition to Metformin’s dramatic ability to improve the condition of diabetics, Metformin is also one of the most promising anti-aging, life-extending drugs available. Many physicians (as well as their patients) are often surprised and pleased to find an unexpected "side effect" of Metformin therapy is a profound and often dramatic loss of body fat. One of the most universal changes with age is a progressive loss of glucose tolerance (Fig. 1). When this loss of glucose tolerance becomes pronounced, it is diagnosed as diabetes. Parallel with (or perhaps a cause of) this loss of glucose tolerance is a progressive increase in insulin resistance-- i.e., a loss of sensitivity to insulin by hypothalamic receptors and a decreased response to insulin by the peripheral tissues, resulting in hyperinsulinemia (elevated blood insulin levels) (Fig. 2). Hyperinsulinemia causes a number of adverse and age-accelerating effects, which include: hypercholesterolemia, hypertension, premature atherosclerosis, and obesity. This constellation of symptoms has now been recognized as the Metabolic Syndrome. Normalizing insulin sensitivity by a low carbohydrate diet, exercise, and Metformin, can dramatically alleviate many of the metabolic changes that accompany aging, including normalizing body weight. Metformin's mechanism of action is unlike other anti-diabetic drugs, like the sulfonylureas (e.g., Glyburide, Diabinase, or Micronase). The sulfonylureas act by increasing the output of insulin from the pancreas--kind of like putting the pancreas on the dining room table and going over it with a rolling pin, squeezing out whatever insulin remains in the already overworked pancreas. After a period of time, this often results in pancreatic failure, transforming a Type II (non-insulin dependent) diabetic into a Type I (insulin-dependent) diabetic. Metformin, however, acts by increasing the sensitivity of the hypothalamus and peripheral tissues (like muscles) to the effects of insulin and other hormones. It also prevents hepatic gluconeogenesis (release of glucose into the blood by the liver). In effect, Metformin acts as a metabolic rejuvenator, restoring the body’s response to the effects of glucose and insulin to much younger physiological levels. Insulin-dependent diabetics are often able to dramatically reduce their doses of insulin, and more easily maintain stable levels of blood glucose. In a more recent study of the effects of metformin on C. elegans, scientists tried to determine the mechanisms of metformin, and its multiplicity of health benefits.5 They showed that animals raised on 50 mM metformin concentration showed an approximately 36% increase in median survival (31 days for treated, 24 for control), and a significantly right-shifted survival curve (Fig. 3). Figure 4. Comparison of activity levels of controls and Metformin-treated nematodes. Note the increased (more youthful) activity of the Metformin-treated animals, compared to age-matched controls.5 This indicates that Metformin promotes youthful physiology in C. elegans. Another interesting aspect of the study was the reduction of lipofuscin (aging pigment) in the Metformin-treated animals, compared to controls. The scientists found that age pigment decreased with increasing concentrations of Metformin, and that the animals treated with the highest doses of Metformin had less than half the concentration of aging pigment as the controls (Fig. 5). Fig. 6. Metformin’s range of beneficial effects. Dilman and his colleague, Vladimir Anisimov, conducted studies of the effect of Phenformin (l-phenylethyl-biguanide) on the life spans of mice in 1980.8 They found that treatment with Phenformin prolonged the mean life span of female C3H/Sn mice by 21%, and the maximum life span by 5.5 months (26%). At the time of the death of the last mouse in the control group, 42% of the Phenformin-treated mice were still alive (Fig. 7). A recent lifespan study with C57BL/6 mice fed 0.1% Metformin resulted in a 5.83% extension of mean lifespan, a right-shift of the survival curve, and a slight increase in maximum lifespan (Fig. 8). 9 In addition, Metformin treatment improved the general fitness of the laboratory mice as indicated by their performance in the Rotarod, Treadmill, and Open Field Tests (Figs. 9-11). The scientists also demonstrated preservation of mitochondrial function, inhibition of inflammation, and decreased oxidative stress in the Metformin-treated mice, and speculated that these mechanisms may partly explain the reason for the health-enhancing benefits of Metformin. When I wrote my first several articles about Metformin, and recommended it for its weight-loss benefits, I was not aware of any studies that specifically evaluated the fat-burning and weight-normalizing potential of Metformin in humans. My recommendations were based on a few animal reports, the clinical experience of my patients, and anecdotal reports from other physicians. Recently, however, a plethora of human studies confirm that Metformin can safely and beneficially be considered a key component of weight loss programs for children and adolescents,10 adult diabetics,11-15 obese adults, whether diabetic or not,16 schizophrenics,17 and women and girls suffering from polycystic ovary syndrome (PCOS).18-20 In other words, Metformin seems to work on just about anyone who needs or wants to lose weight. Life extension scientists Durk Pearson and Sandy Shaw alerted me to a recent paper which reported the profound weight loss effects of an interesting combination of Metformin with the prebiotic fiber dietary supplement oligofructose (OFS).21 Oligofructose (inulins) is a unique class of soluble and fermentable nondigestible carbohydrates, with a low caloric content, which are known for their anti-obesity and blood sugar-lowering effects.22 The authors divided 40 obese Sprague-Dawley rats into several groups, including: Control; OFS-fed; and combined OFS and Metformin. They monitored the body weight and other metabolic parameters each week for 7 weeks (Fig. 12). The OFS-Metformin combination resulted in enhanced weight loss and metabolic improvement that surpassed treatment with OFS by itself. Since OFS is already available as a dietary supplement, this combination may be beneficially applied by overweight humans, as well. For weight loss benefits, I recommend doses of Metformin ranging from 500 mg twice/day, to a maximum of 1,000 mg twice/day. Gastrointestinal side effects or diarrhea may occur in up to 20% of Metformin users, but this can usually be overcome by reducing the dose to whatever the patient can tolerate without causing any side effects (I suggest cutting the tablets in halves, quarters, or in some very sensitive people, crushing the tablets, and just using “crumbs” several times daily). Usually, within a few days or weeks, tolerance develops, and the dose can be gradually increased based on the patient’s adjustment to the medication. The most common response, after several weeks of use at the recommended dose, is that the patients feel better, have more energy, and lose their carbohydrate cravings. Professor Dilman was not only an endocrinologist and gerontologist, but was a specialist in oncology, as well. He told me that the first drugs he used in all of his cancer patients, were Metformin, Phenformin, or Buformin. Of course, I was again skeptical, having never heard of this use for these drugs. He told me that insulin was a growth factor, and was an “essential toxin”—and that we should strive for the lowest levels compatible with good health (like blood pressure and blood sugar). In one of his early papers with his colleague, Prof. Anisimov, they compared the tumor incidence of 30 control C3H/Sn mice with 25 mice treated with Phenformin.7 Twenty four of the control mice developed mammary tumors, and only 5 of the Phenformin-treated mice developed the tumors (Fig. 13). Figure 13. Effect of Metformin-analog Phenformin on tumor yield curve in female C3H/Sn mice.7 Note that of the 24 Phenformin-treated mice, only 5 developed tumors, compared to 21 of 30 control mice which developed tumors. With regard to its primary anti-diabetic effect, Metformin acts in a much more physiologic manner than either the sulfonylureas, or even exogenously administered (i.e., injected) insulin itself. Metformin does not cause hypoglycemia, which may often result from the use of insulin or the sulfonylureas. One potential side effect in long-term users of Metformin, is that it may cause malabsorption of vitamin B12.26 Consequently, anyone taking Metformin should also supplement their diet liberally with vitamin B12. Another common side effect (in about 20%) is stomach upset or diarrhea. If this occurs, the dose should be reduced to whatever dose does not cause a problem, and this dose can gradually be increased over days or weeks as tolerance develops. The most serious potential adverse effect is lactic acidosis, which is potentially fatal. Fortunately, lactic acidosis occurs rarely (less than 3 cases per thousand patient years), and can be prevented. It is caused by a combination of impaired lactate clearance (due to liver failure) and impaired metformin clearance (due to renal failure). Thus, it should be used with caution and in reduced doses in patients with seriously impaired kidney or liver function. Dilman noted in 1994 that in his more than ten years of prescribing Phenformin to patients without advanced diabetes, he observed no cases of lactic acidosis, or any other significant side effects.8 A recent study from a hospital in Portugal reported a total of only seven patients with lactic acidosis in one year.27 All patients were taking Metformin in daily doses over 2500 mg (the maximum I recommend, in even the healthiest patients, is 2,000 mg). All patients recovered uneventfully. The authors’ conclusion was that the dosage for patients with kidney or liver impairment be reduced by at least one third, and the patients be cautiously and judiciously monitored for adverse symptoms; but that the benefits of Metformin far outweigh the slight risk of lactic acidosis, even in those with impaired liver and kidney function. Diabetes is believed by many gerontologists to be an example of accelerated or premature aging. Since nearly everyone past middle age suffers from "subclinical" diabetes (i.e., some degree of loss of glucose tolerance with age), I strongly encourage all of my patients to take 500 mg of Metformin two to four times per day for its health-promoting, anti-aging benefits. 1. Dilman, V., and Dean, W. Neuroendocrine Theory of Aging. The Center for Bio-Gerontology, Pensacola, Florida, 1992. 2. I-M Health Biomarker Reference Book, London, 2007. 3. Polonsky KS, Given BD, Hirsch L, et al. Quantitative study of insulin secretion and clearance in normal and obese subjects. J Clin Invest 1988; 81:435. 4. Bakaev, V.V., Bakaeva, L.M., Nikitin, Yu.P., Shabalin, A.V. Effect of l-butyliguanide hydrochloride on the longevity in the Nematode Caenorhabditis Elegans. Biogerontology, Vol. 3, Supp 1, 2002, 23-24. 5. Onken B., Driscoll, M. Metformin induces a dietary restriction-like state and the oxidative stress response to extend C. elegans healthspan via AMPK, LKB1, and SKN-1. PLOS-One January 2010, 5: 1, e8758, 1-11. 6. Dilman, V.M. 1971. Age-associated elevation of hypothalamic threshold to feedback control and its role in development, aging and disease. Lancet 1, 1211-1219. 7. Dilman, V.M., Anisimov, V.N. 1980. Effect of treatment with phenformin, dyphenylhydantoin or L-DOPA on life span and tumor incidence in C3H/Sn mice. Gerontology 26, 241-245. 8. Dilman, V.M. 1994. Development, Aging and Disease. A New Rationale for an Intervention. Harwood Academic Publisher, Switzerland. 9. Martin-Montalvo, A., Mercken, E.M., Mitchell, S.J., et al. Metformin improves healthspan and lifespan in mice. Nature Communications, 30 Jul 2013, doi: 10.1038/ncomms3192. 10. Matson KL, Fallon RM. Treatment of obesity in children and adolescents. J Pediatr Pharmacol Ther. 2012 Jan;17(1):45-57. doi: 10.5863/1551-6776-17.1.45. 11. Svacina S. Treatment of obese diabetics. Adv Exp Med Biol. 2012;771:459-64. Review. 12. Nadeau DA. Physiologic and weight-focused treatment strategies for managing type 2 diabetes mellitus: the metformin, glucagon-like peptide-1 receptor agonist, and insulin (MGI) approach. Postgrad Med. 2013 May;125(3):112-26. doi: 10.3810/pgm.2013.05.2666. 13. Rosenstock J, Rodbard HW, Bain SC, D'Alessio D, Seufert J, Thomsen AB, Svendsen CB, Devries JH; One-year sustained glycemic control and weight reduction in type 2 diabetes after addition of liraglutide to metformin followed by insulin detemir according to HbA1c target. 14. Ji L, Li H, Guo X, Li Y, Hu R, Zhu Z. Impact of baseline BMI on glycemic control and weight change with metformin monotherapy in Chinese type 2 diabetes patients: phase IV open-label trial. PLoS One. 2013;8(2):e57222. doi: 10.1371/journal.pone.0057222. Epub 2013 Feb 28. 15. Liu SC, Tu YK, Chien MN, Chien KL. Effect of antidiabetic agents added to metformin on glycaemic control, hypoglycaemia and weight change in patients with type 2 diabetes: a network meta-analysis. Diabetes Obes Metab. 2012 Sep;14(9):810-20. doi: 10.1111/j.1463-1326.2012.01606.x. Epub 2012 Apr 29. Review. 16. Seifarth C, Schehler B, Schneider HJ. Effectiveness of metformin on weight loss in non-diabetic individuals with obesity. Exp Clin Endocrinol Diabetes. 2013 Jan;121(1):27-31. doi: 10.1055/s-0032-1327734. Epub 2012 Nov 12. 18. Al-Nozha O, Habib F, Mojaddidi M, El-Bab MF. Body weight reduction and metformin: Roles in polycystic ovary syndrome. Pathophysiology. 2013 Apr;20(2):131-7. doi: 10.1016/j.pathophys.2013.03.002. Epub 2013 Apr 20. 19. Ravn P, Haugen AG, Glintborg D. Overweight in polycystic ovary syndrome. An update on evidence based advice on diet, exercise and metformin use for weight loss. Minerva Endocrinol. 2013 Mar;38(1):59-76. 20. Geier LM, Bekx MT, Connor EL. Factors contributing to initial weight loss among adolescents with polycystic ovary syndrome. J Pediatr Adolesc Gynecol. 2012 Dec;25(6):367-70. doi: 10.1016/j.jpag.2012.06.008. Epub 2012 Oct 22. 22. Parnell JA, Reimer RA. Weight loss during oligofructose supplementation is associated with decreased ghrelin and increased peptide YY in overweight and obese adults. Am J Clin Nutr. 2009;89:1751–9. 23. Anisimov, V.N. Metformin for aging and cancer prevention. Aging (Albany NY), 2010 November; 2(11): 760-774. 24. Wu B, Li S, Sheng L, Zhu J, Gu L, Shen H, La D, Hambly BD, Bao S, Di W. Metformin inhibits the development and metastasis of ovarian cancer. Oncol Rep. 2012 Sep;28(3):903-8. doi: 10.3892/or.2012.1890. Epub 2012 Jun 29. 25. Saftig, J. Can a diabetes drug prevent cancer death? Life Extension, Feb 2012, 56-63. 26. Deutsch, J.C., Santhosh-Kumar, C.R., Kolhouse, J.F. Efficacy of Metformin in non-insulin-dependent diabetes mellitus. NEJM, 1996, 334, 4: 269. 27. Rocha A, Almeida M, Santos J, Carvalho A. Metformin in patients with chronic kidney disease: strengths and weaknesses. J Nephrol. 2013 Jan-Feb;26(1):55-60. doi: 10.5301/jn.5000166.